Updated: Windows 8 Customer Preview - "This app can't open"
So I had a Acer netbook 10.1 lying around and thought I would attempt to install Windows 8 so I could get a true experience (minus the touchscreen) of the operating system. 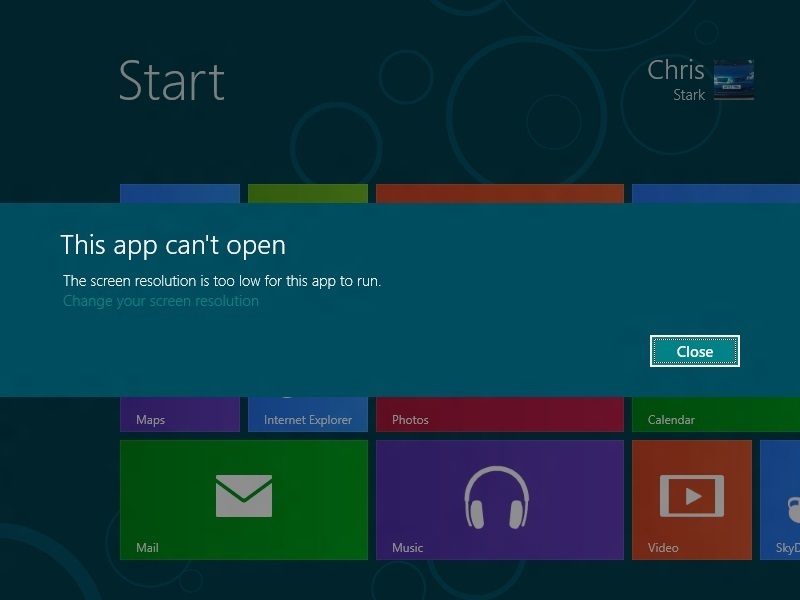 All went well during the installation, until I decided to open up the Store and download some apps only to be greeted with “This app can’t open, The screen resolution is too low for this app to run, change your screen resolution” This occurred for any of the built in apps as well. 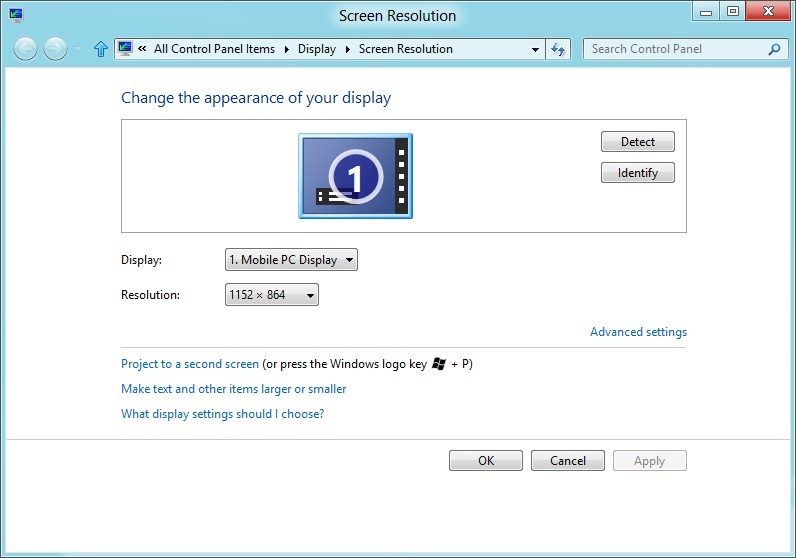 Easy to resolve I thought, I’ll just change my screen resolution, except it was already set at the maximum resolution of 800×600. 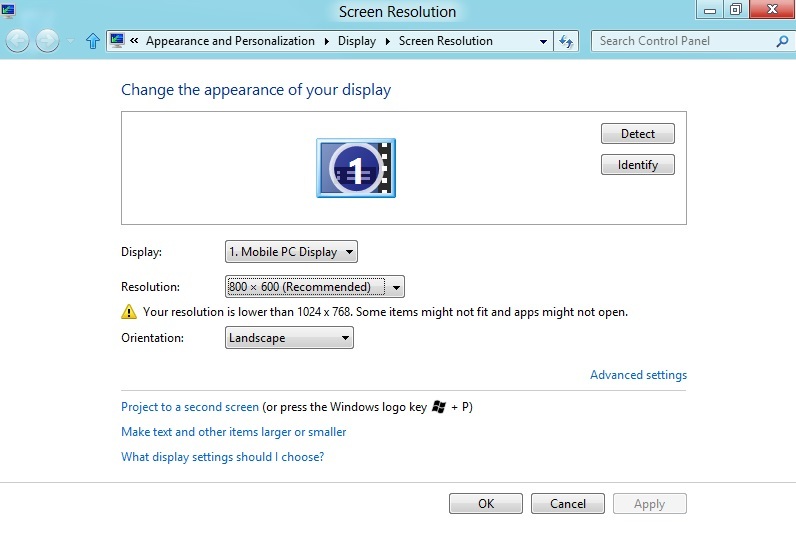 Windows 8 even states on the screen resolution page that screen resolutions lower than 1024×768 that the apps may not open. 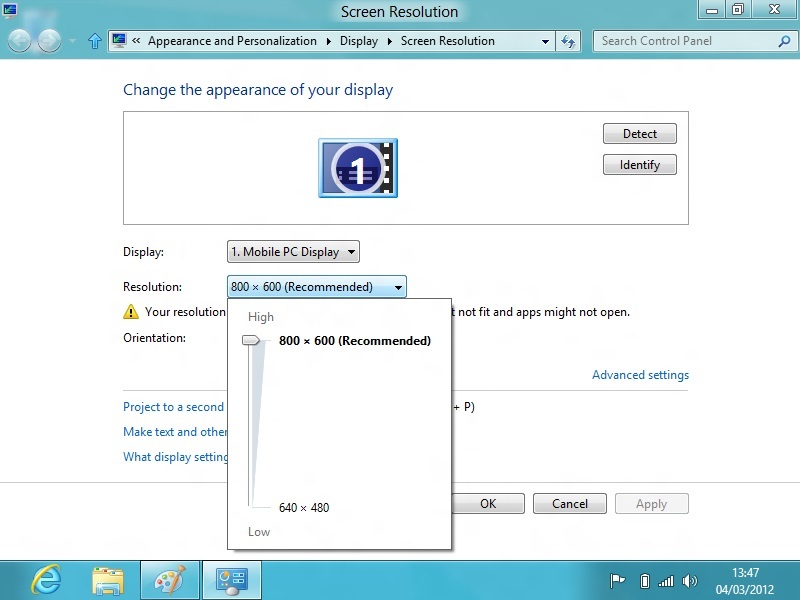 So to conclude Windows 8 seems like it doesn’t like devices with screen resolutions lower than 1024×768 to work properly. 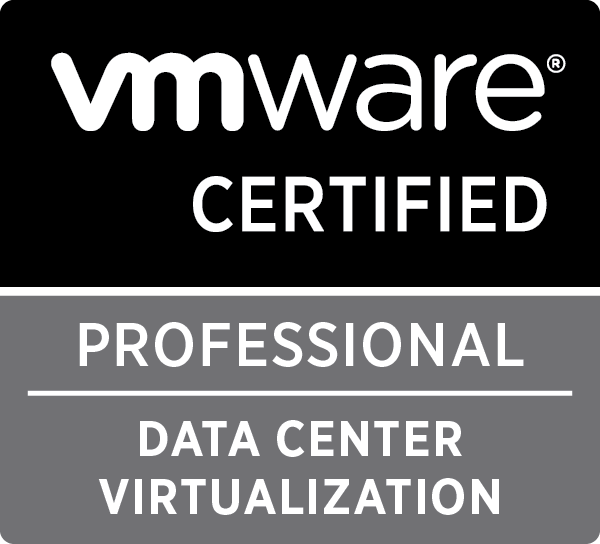 Not a big issue, I can still continue to test on VMware Workstation 8. If anyone does know a workaround please let me know (I haven’t done a lot of research for a solution). It would seem there’s a way to change the resolution via the registry. I would recommend backing up the registry first, and being careful… but seeing as your probably testing Windows 8 like me… you may just want to take the risk! 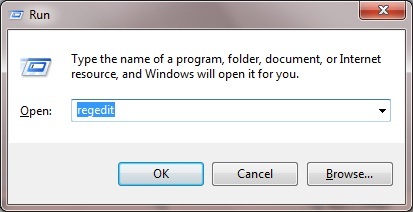 To do this, fire up the registry via Windows Key + R to get to the run box, type regedit and click ok.
Then CTRL + F to open the find box and type “Display1_DownScalingSupported” – click Find Next. Once found you will need to change the value from 0 to 1. There may be more than one “Display1_DownScalingSupported” in the registry, so hit F3 (find next) and change all the values from 0 to 1. On my netbook there was only one option. Others have reported more than one. Once the values have been changed, restart the netbook and you should be able to change the resolution to a higher value.